In this special episode, we unpack the implications of the Ressurection of Jesus Christ. Jullian Assange, Is he a hero or a zero, a villian or a savior? Is he something in between and should we even care. We'll talk about this and more today on the podcast. Joe Biden; is he a predator, a harasser, a creepy old man, or just an older gentleman from a different era? Does it matter? Does his well known tradition of being the way he is disqualify him as a presidential camdidate? There is more to the story, don't be tricked by the media's clever slight of hand. We'll talk about this and more today on the podcast. A lot of people are upset that Secretary of Education Betsy Devos, in the release of the Dept of Ed's budget, revealed that funding to the Special Olympics would be eliminated. On the surface, this sees terrible, but is it really? We'll talk about this and more today on the podcast. Also apologies for the audio quality at the beginning of this episode. We had an HDD failure in the studio this morning. We did get the problem solved and hopefully, it will not be an issue again. 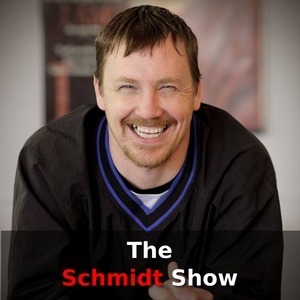 Russian collusion was more like Russian delusion and we'll talk about it today on The Schmidt Show Podcast. I haven't talked much about the Mueller investigation here on the podcast but I have talked extensively about it on my terrestrial radio show for some time. All along I've said that I thought it was going to be a great big nothing burger. We'll talk about what this means moving forward and address what will be the very predictable response of the left. The media narrative is that mass shootings only happen in the US and that is an out of control situation of epidemic proportions. 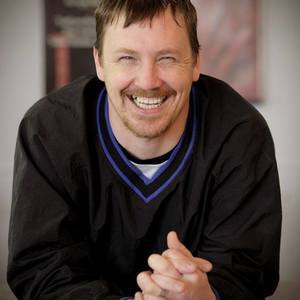 The truth is much more complicated and we'll talk about it today on The Schmidt Show Podcast. The crisis of credibility as it relates to the discussion of science. Often times the term, "anti-science" is thrown about. today we talk about why this term is used and what to do about it when you are accused of it. If you are looking for a passionate and engaging look at politics with a side order of not taking ourselves to seriously you are gonna love The Schmidt Show. The invention of lying. Are we really surpised when politicians and bureaucrats lie? In this episode we talk about the lies that politicians tell and what we can do about it to stop it. If you are looking for a passionate and engaging look at politics with a side order of not taking ourselves to seriously you are gonna love The Schmidt Show. The Schmidt Show Podcast is back from Arizona and we just thought we'd ramble a little about the stories of the week. We take a call from Chas from New York who's considering becoming Chas from North Carolina. All in all a fun show. If you are looking for a passionate and engaging look at politics with a side order of not taking ourselves to seriously you are gonna love The Schmidt Show. Episode 26: Could Ivanka be the next George W? Could Ivanka Trump be the next George W? I'm certainly not ready to make any endorsements for the 2024 election cycle, heck I am not even ready to make any endorsements for 2020. But in today's world of familial politics I think this could be a real possibility in the future. If you are looking for a passionate and engaging look at politics with a side order of not taking ourselves to seriously you are gonna love The Schmidt Show. The Green New Deal is a lie from top to bottom, beginning to end. Even the title; it's not about being "green," it really isn't anything "new," and sure as heck isn't a deal. In this weeks episode we break it down for you and show you how it's more about wealth distribution than enviornmental concerns. Episode 24: Candidates and Governors and Racism! Oh My! Cory Booker, Ralph Northam, and more. Today we talk a little about presidential politics and a little about identity politics. Who is a front runner and can who can beat Trump in 2020. Or is it even possible to defeat him? Make sure to listen all the way through the episode, even after the outro music for an exciting announcement. On today's episode, we discuss the real history of the Democrat Party. The left would have you believe that the MAGA hat is the "white hood" of the 21st century. In reality the dark history of racism in the democrat party tells the real story and a story that is still being told today. Oscar Wilde, way back in 1889 said, "Life imitates Art far more than Art imitates Life”. It seems like we are racing toward the world we see in the movie "Idiocracy." We tell boys that it's bad to be manly and masculine and we tell our girls that they need to be more like boys. Then we wonder why they are confused. This week we focus once again on the border. We are joined by a retired border patrol agent who gives us the lowdown about border security and why it matters. In this week's episode we will be talking about why so much of what is being talked about in the news regarding immigration, the border wall, and the governemnt shutdown is little more than a bunch of red herrings. We do our best to explin why the real discussion should not be about the wall or immigration but about national sovereignty and why it matters.